When you start your search for a new pickup truck there are a lot of things that you have to take into consideration before you make your decision to buy. If you are looking for a new truck that can offer you a wide variety of qualities that range from capability and power to advanced technology and comfort, there is one that can do it better than many others. The 2017 Nissan Frontier in Dayton, OH is a midsize pickup truck that makes your buying decision a lot easier by giving you everything you could ever want or need in a new truck. The 2017 Nissan Frontier is offered in extended cab and crew cab body styles as well as your choice of either 5-foot or 6.1-foot bed lengths. To help give you exactly what you want in your new truck the 2017 Frontier is also available in multiple trim levels that include the S, SV, Desert Runner and Pro-4X. 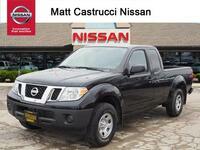 With so many options to choose from you’ll have no problem getting everything you want in your new 2017 Nissan Frontier from Matt Castrucci Nissan. Helping to give the new 2017 Nissan Frontier the power it needs to deliver the capability you desire are two available engine options. The first engine you can choose to have under the hood of your new Nissan Frontier is a fuel-efficient 2.5-liter DOHC 16-valve four-cylinder that puts out 152 horsepower and 171 lb-ft of torque. The second available engine option is a more powerful 4.0-liter DOHC 24-valve V6 that cranks out 261 horsepower and 281 lb-ft of torque. 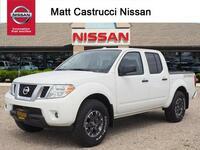 If you are looking for a new truck that can be a real workhorse when you need it to be, one that can offer smooth driving on city streets and a pickup that can conquer the off-road trails, the new 2017 Nissan Frontier in Dayton, OH is the perfect choice. 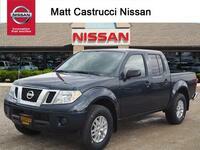 Its impressive list of all-around qualities, available cargo systems, available four-wheel drive system and high-tech features and comfort options all help make the new Nissan Frontier a top choice in the midsize pickup truck segment.